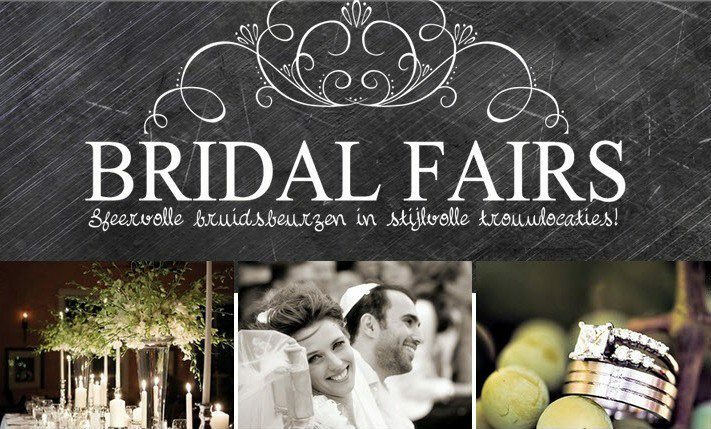 In a series of ‘Guest blog posts’ Inge Bergakker, a Dutch bridal fair organizer, is the first to share a bit about herself and her business. I made contact with Inge about 3 years ago, then she was a wedding planner. In the interview she will tell you about the new direction her career has taken. 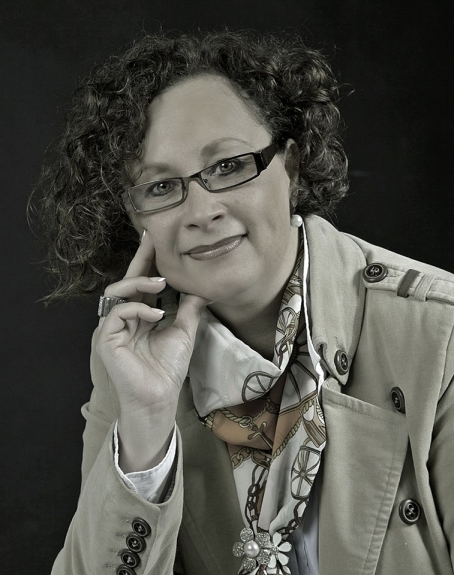 My name is Inge Bergakker and I live in The Netherlands. Four years ago I started my own wedding planning agency and within a couple of months I also started organizing wedding fairs in exclusive wedding venues. Just recently I have decided to end my wedding planning agencies (I had two specialism’s in the meantime: gay weddings and exclusive weddings in Italy) and focus on expanding the fairs. My goal is to organize these wedding fairs nation wide and annually I will organize one or two exquisite event. How would you describe your style when working with wedding services/brides? My fairs are actually a platform to let couples meet the handpicked vendors in person. These vendors are certainly worth meeting and have proven to be great in their field. The fairs are in a relaxed atmosphere in exclusive wedding venues and the couples can take their time to get to talk to them, get to know the vendors and the venue a little better. They are pampered throughout their stay; a welcoming glass of bubbles, little hors d’oeuvres, workshops, live entertainment, bridal shows, goodie bags etc. My fairs are going to be throughout The Netherlands. My inspiration actually comes from what I don’t want for my couples; huge fairs where vendors are in your face trying to sell their product or service. I truly believe that these types of wedding fairs are still wanted by lot’s of couples but due to experience I know couples do really appreciate the personal touch and who look for quality. That’s what we provide them:high service and quality in a relaxed atmosphere with the personal touch. My first wedding fair was small and on a yacht. To be very honest; that wasn’t quite a success but I did learn immediately what I needed to change and how I wanted them in the future. I then was approached by a company who owned five wedding venues. They asked me if I would like to organize the fairs for them because they lacked the time. From that moment on it went spiral and up till now I have organized more than 16 wedding fairs already. How long you have been doing it? For more than three and a half years now. Why do you love your job or what makes it so special? The pleasure and satisfaction I get every time I can convince a wedding venue of the quality Bridal Fairs applies. The feeling I get after a fully booked fair is indescribable. I so love doing what I do! I’m very passionate about work. I love to network and giving the couples as much information as possible. With my wedding planner background it just makes it all easier too.Let’s say it this way; I’m a workaholic and I totally love what I do! Why should brides and wedding services attend your fairs? Because the personal touch is our motto. It’s not a bee hive with way too many vendors in which you have no clue where to go to or who to talk with. It’s a relaxed atmosphere, we have a great diversity of quality vendors and we pamper our couples as much as possible. Once again, all the vendors and the venues want to give the best service possible to the couples. If you had an unlimited budget for a wedding fair, how would you like to spend it? What do you love doing in your free time? Free time? What’s that!?!?!? No, just kidding. I love spending quality time with my family. I have two teens in the house and seeing them growing up so quickly makes me realize that life passes by in the blink of an eye. I try my best not to take that for granted. And if I have more spare time, I love to read books and enjoy the sun. With my foreign genes that is a necessity! How can brides and wedding services contact you? If you are a wedding service supplier and you would like to tell my blog visitors about you and your business, please feel free to drop me a line. At the bottom of this post you can click on the envelope icon to send me an email. If you are a bride and think I should talk to one of your own wedding services because they have done an outstanding job or done something very special, then please let me know about it!